It’s about to be Easter very soon! In just a few weeks it’ll be that time of the year when you and your family get to wear pastel-colored clothes, and maybe (just maybe) take a trip out to South Padre Island. We’re sure that your little ones absolutely love that! Do you know what else they’d love besides going to the beach? You guessed it – candy! In all fairness, we don’t even need to be kids to enjoy a piece of chocolate or candy. 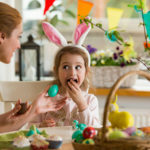 Unfortunately, while it’s nice to satisfy our sweet tooth – especially with all those Easter candies lying around – it can be absolutely horrible for our smiles. But then again, are we going to disappoint our kids by telling them the Easter bunny didn’t swing by this year? Here’s the deal, if we are going to give our kids a little bit of candy, we should at least consider providing them better options that won’t rot their teeth. 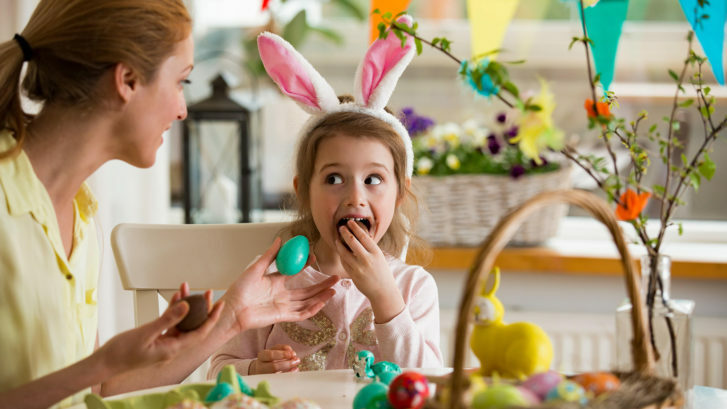 Let your McAllen dentists here at WhiteWing Dental give you some advice on the best and worst Easter candies. Let’s talk first about what is NOT recommended. Gummy bears, worms, taffy, and other such sticky candies might seem harmless but they contain the most acid and take the longest to chew. The more time you take chewing on a gummy substance, the more those acid and sugars get wrapped around your teeth, which, over time, can lead to cavities. The unwritten rule is the stickier the candy, the worse it is for your teeth. Gummies and the like tend to do the worst damage because their sugary substances get stuck between teeth and in hard to reach places, making it nearly impossible to get rid of the residue with simple brushing and flossing. Hard candies such as Jolly Ranches, Ring Pops, and Life Savors can also be brutal on your little one’s teeth. Just like gummy candies, these sugary treats take longer to consume, meaning your teeth are exposed to the sugars for longer. 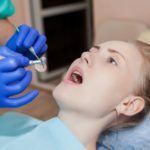 Also, since they are ‘hard,’ and a child’s set of teeth are still very relatively sensitive, they can cause chipping to occur. 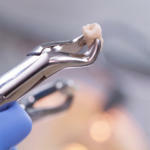 That’s bad news, and our family dentists in McAllen and La Feria wouldn’t want that to be the case. Now that we know that not all candies are created equal, our experts at WhiteWing Dental would like to recommend some better alternatives that are relatively safer for you and your children’s teeth. You might be delightfully surprised to know that dark chocolate is the best candy you can eat. Compared to milk chocolates, they are a lot healthier in the sense that they contain less sugar and also have natural antioxidants. Less sugar means less of a possibility of damaging your teeth in the long run. Sugar-free candies are also a thing, and to be honest, they aren’t all that bad. You can find plenty of options with a quick Google search. You can even find some great Easter candies. Another valuable tip when consuming candy is to make sure to drink plenty of water. Water will help to wash down all those bits and pieces of candy stuck between your teeth while also reducing the effects of the acid in the candies. And of course, the most important step is to make sure you and your children brush and floss after a long day of feasting on treats. Contact the trusted family dentists of WhiteWing Dental today at (956) 686-5577 to schedule your dental check up!